It's Time for Another Book Giveaway! The winners have been chosen! Agreenerlife’s simple Whatever Soup reminded me how easy it is to whip up a quick pot of veggie soup. Congratulations!! Please email VeganMoFoBlog@gmail.com with your names and addresses! Thanks again to the amazing generosity of the folks at the Book Publishing Company, we are hosting one more book giveaway. Even if you don’t win, you might want to consider buying or gifting any of their awesome selection of vegan books. Becoming Vegan by Brenda Davis, R.D. and Vesanto Melina, M.S., R.D. Written by two experienced dietitians, this book will help new vegans on their path, or those who might be struggling find their way. It covers a wide variety of topics, including tips for athletes and people in all stages of life–from infants to more mature adults. I think it would be a great reference for anyone on or considering a vegan diet! This book shows us that quick food doesn’t have to mean fast food. Alan Roettinger helps us create delicious, quick, and satisfying meals in less time than it takes to pick up carryout. Dishes include Leek and Cauliflower Soup, Hot Eggplant and Seitan Open-face Sandwich, and Minted Chocolate Dream. Yes, please!! One copy of each book is up for grabs. Please leave a comment linking to one of your favorite quick and easy MoFo recipes! We’ll pick two winners at random, around 10:00 PM EST. Sorry folks, but this contest is limited to those with U.S. addresses only. Flyawayvegan’s pörkölt looks incredibly easy and delicious to me! Tahinitoo’s Pumpkin Seed Potato Bread. I’ve made it twice so far and it’s not un-awesome. I loved eating Vegan Mouse’s calzones made with puff pastry, Gimme Lean vegan sausage, mushrooms & Daiya cheese. It’s the perfect combination of satisfying yummy! I’m liking anything hearty and savory. The only thing this pic is missing is a gravy. Mmmm sweet garlicky red chili americanized chinese homemade takeout..Vegan Aide offers a delish recipe for General Tso’s that looks as succinct as it does succulent. This is a meal that caught my eye as a good looking, simple dish. Mushrooms, tofu, and bok choy – no detailed recipe necessary! I absolutely positively cannot wait to make this Instant Mac & Cheese Mix so that whenever I want it, I have my most favorite comfort food on earth. I picked this tofu recipe because it looks and sounds yummy! I’ll bet the tofu could be made ahead and reheated. Bonus points.. blogger is in Baltimore! my town! 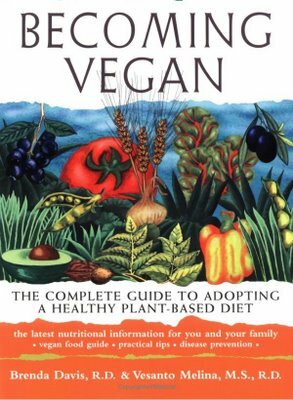 We’ve loaned our copy of ‘Becoming Vegan’ out a few times; what a great resource! I may be starting work with a longer commute so we were just looking at ‘Speed Vegan’ and have it on our wishlist! As if we needed more desserts in my house…but really vegan creme brulee? Need I say more? I saw this recipe today and almost freaked out. Brilliant. It is for Vegan Cheesecake with Grey Sea Salt Caramel. I just made the ppk Seitan o Greatness as part of our Thanksgiving meal. I wondered why I’ve waited so long, I can see this becoming a mealtime staple. Terrific review! This is exactly the type of article that needs to be shared around the web. Sad on the Google for not ranking this article higher! Hello , I do feel this really is a great web site. I stumbled on it on Yahoo , i’ll arrive again as soon as once more. Funds and liberty may be the finest strategy to alter, could you be prosperous and assist others. Hello, just required you to know I he added your internet site to my Google bookmarks due to your layout. But seriously, I feel your web website has 1 in the freshest theme I? ?ve came across. It extremely helps make looking at your weblog significantly easier. Mainly on fridays don’t have a lot to do and not after 11 in the evening ,therefore I’m surfing through the net. More often I like websites powered by wordpress , specially the looks. Nice theme! Hi there , I do feel this can be a fantastic website. I stumbled on it on Yahoo , i’ll arrive back again as soon as once more. Funds and liberty may be the very best method to alter, might you be abundant and aid others.